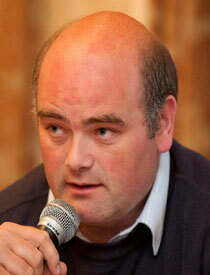 ICSA rural development chairman has repeated his call for an extension to the deadline for the Farm Safety grant. Mr Gray said that the deadline of August 31st was too tight and many farmers were under pressure to get work completed. “The deadline was always going to be a problem given that many farmers only got the go-head from the Department in the late spring and early summer. The problem is more pronounced due to the fact that many builders and suppliers and their staff traditionally take holidays in the first few weeks in August. Consequently, it is proving difficult to co-ordinate getting work done and paperwork in by the end the month. Mr. Gray said the scheme, which has a fund of €12.2 million, attracted over 6,000 applicants.